In addition to homeschooling my children and designing fun stuff for my Etsy and Teachers Pay Teachers Shops, I do a little graphic design work for a Homeschool Magazine. The main thing I do is adding words to photos to make pretty, pinnable images. I have become quite familiar with fonts and have learned what fonts compliment each other well. I’m sharing with you a few of my favorite font combos. 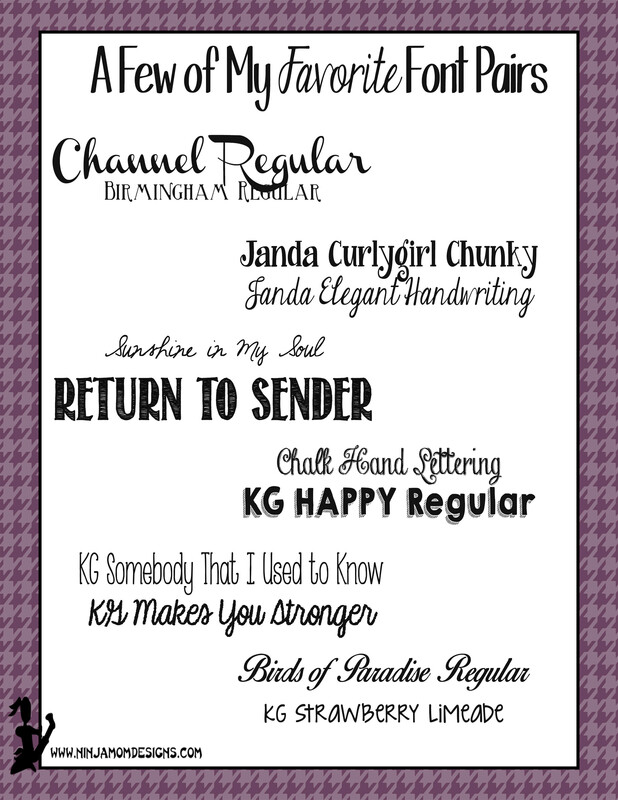 I have found these fonts for FREE (yay!) on www.dafont.com. When you click “download” on the font, you then go to your downloads and open the file. You will have the option to install… click that! The font automatically goes into your computer’s fonts. When you are working in Word, Photoshop, Powerpoint, etc. the installed fonts will be available to you. What are your favorite fonts?? What do you use your fun fonts for?